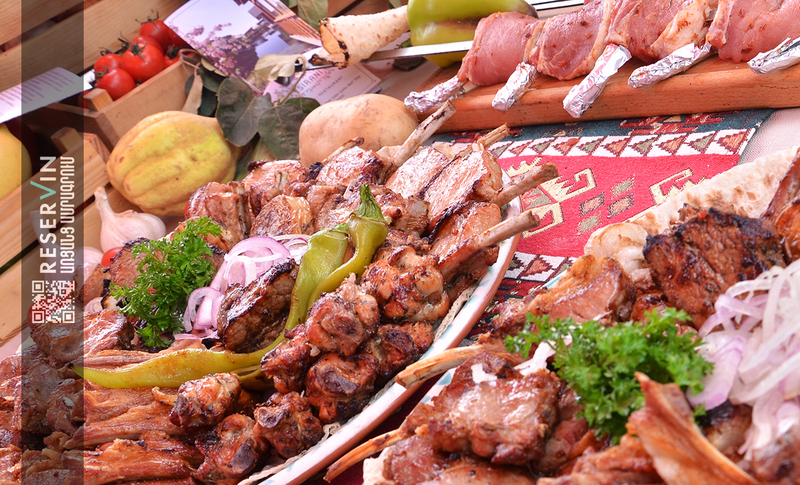 On Saturday the 24th of September 8th International Barbecue Festival was held on the grounds of Akhtala's St. Mother Merry Monastery, which is a thousand-year-old church famous for having the biggest and oldest frescos in the world. 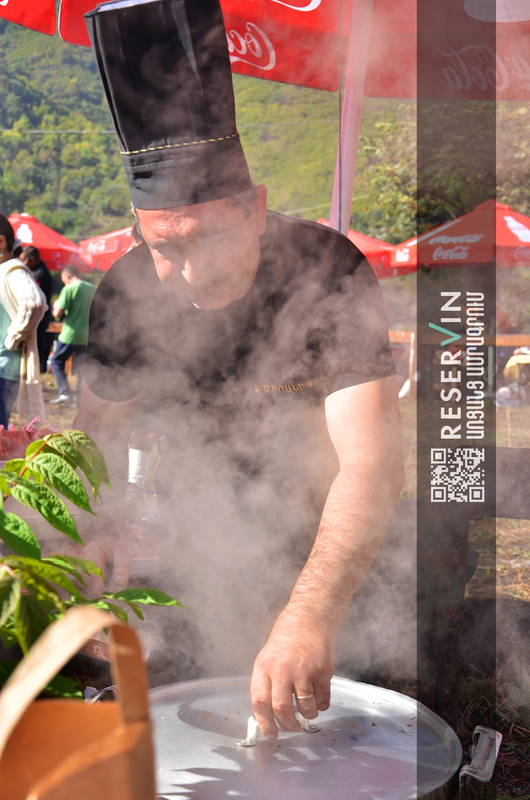 The festival which brings famous chefs in one place to compete against each other is the most famous barbecue festival in Armenia. 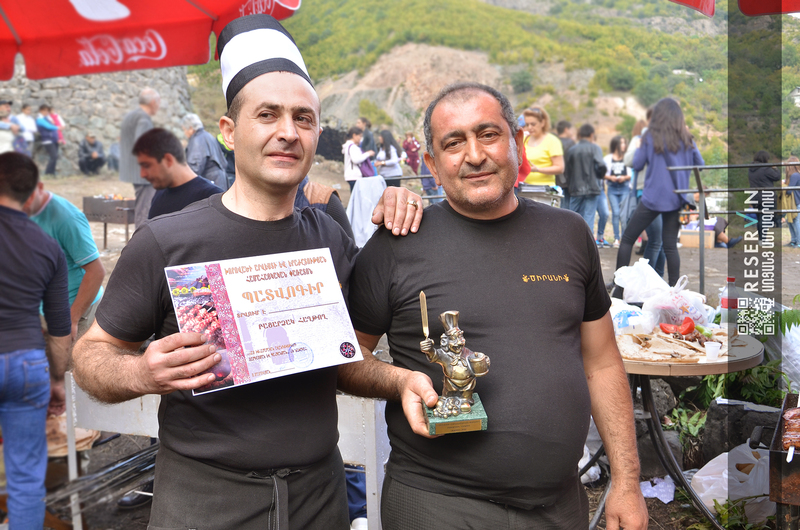 This year, the organizers of the festival were the Municipality of Akhtala and Armenian cookery traditions development and protection NGO headed by Sedrak Mamulyan. 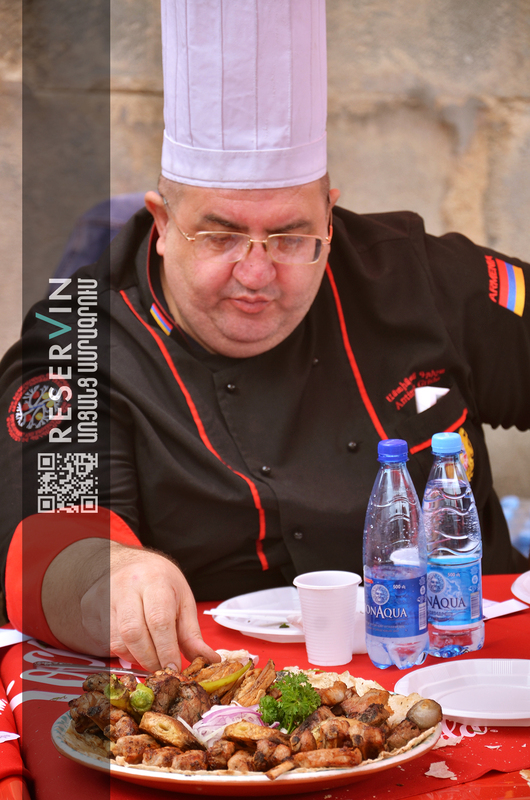 Over 20 teams were participating in the festival which was selected not only from leading Armenian restaurants, but also from single individuals. 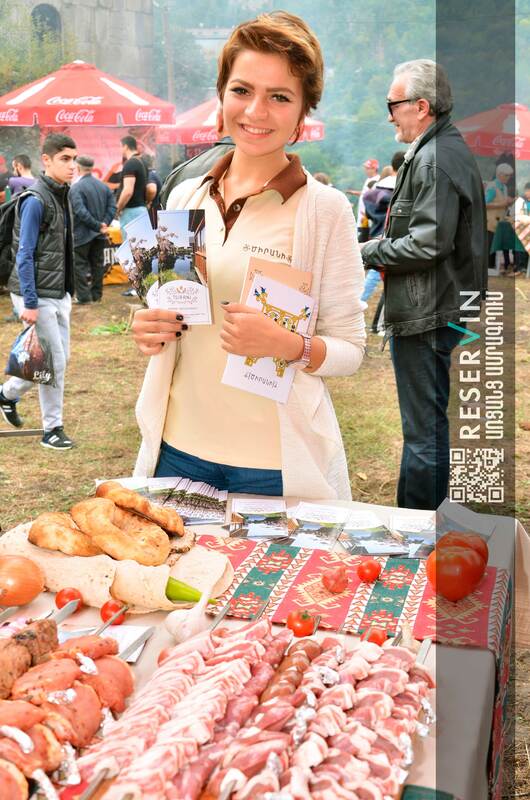 This year there were participants from our neighbor country Georgia. Many guests came not only from Armenia but also abroad. 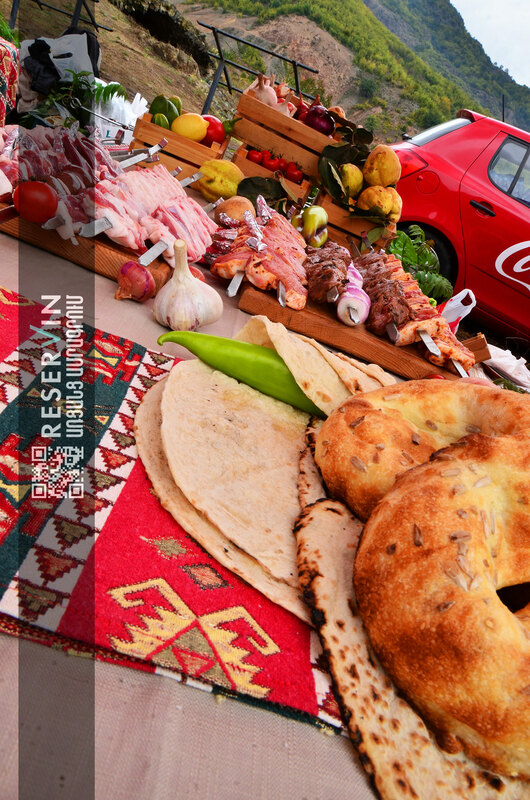 The festival started with the beautiful dramatic presentation, during which “the king” Sedrak Mamulyan ordered to undertake the popularization of traditional Armenian dishes and to control today's barbecue festival. 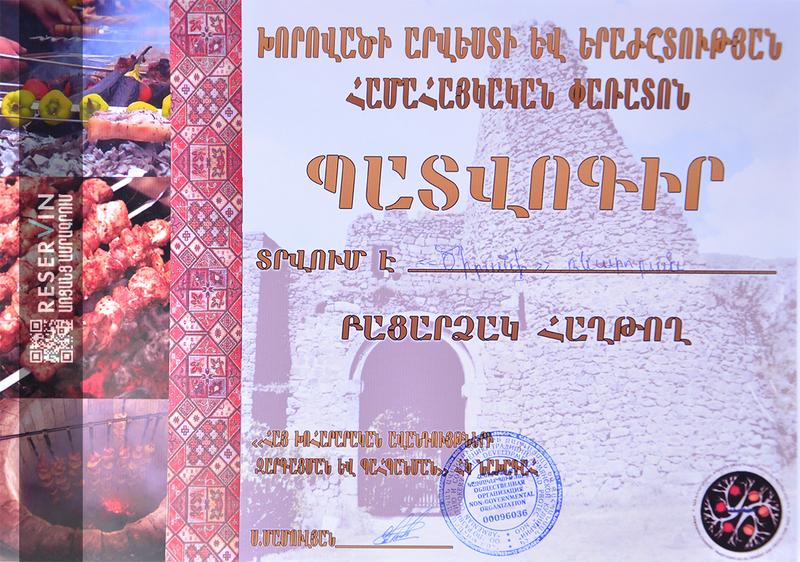 Mamulyan swore to implement the order and by this way announced the opening of the festival. During the event performed the N military orchestra of the Ministry of Defense of the Republic of Armenia and the rock band The Beautified Project. The participants were competing for the best taste, design and delivery. The winner was decided by the jury, which included not only the chefs but also figures from the field of art and representatives of the National Assembly. The absolute winner of the competition was the team of "Apricot" restaurant. 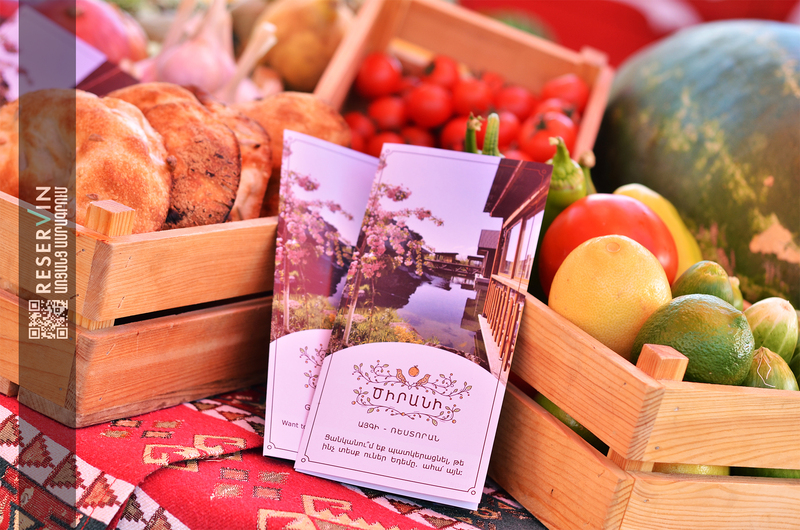 Reservin Armenia team congratulates its partner "Apricot" and wish new successes and achievements. For more details related to festival events you can see in our special series of photos. ''Welcome to Helen's Kitchen'' This is a way how Helen..
House Cafes are popular all around the world. Even in.. While some are planning your summer holidays, or vice versa,..